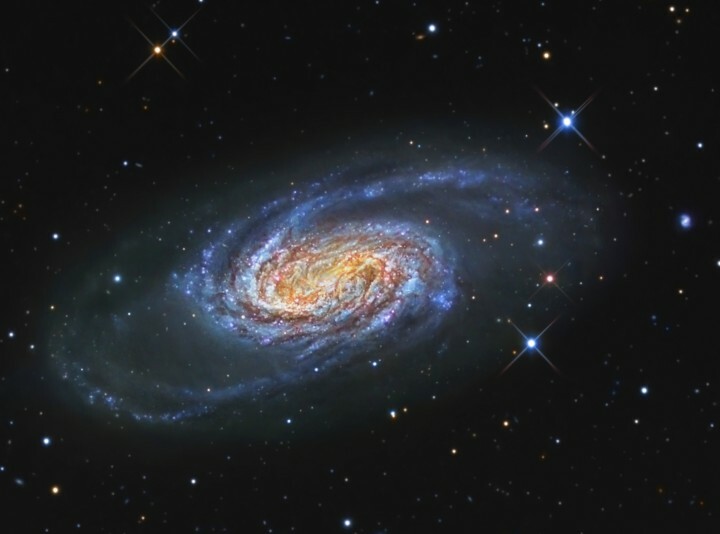 Explanation: Spiral galaxy NGC 2903 is only some 20 million light-years distant in the constellation Leo. One of the brighter galaxies visible from the northern hemisphere, it is surprisingly missing from Charles Messier's famous catalog of celestial sights. 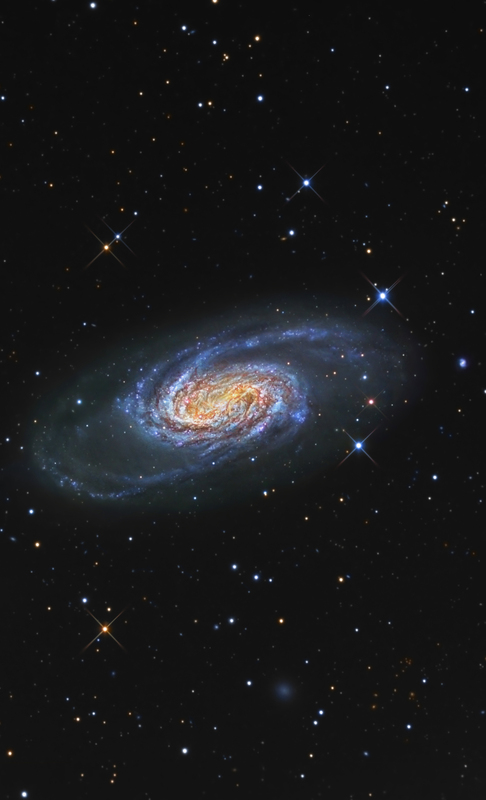 This impressively sharp color image shows off the galaxy's beautiful blue spiral arms. Included in the ground-based telescopic view are intriguing details of NGC 2903's central regions -- a remarkable mix of old and young star clusters with immense dust and gas clouds. In fact, NGC 2903 exhibits an exceptional rate of star formation activity near its center, also bright in radio, infrared, ultraviolet, and x-ray bands. Just a little smaller than our own Milky Way, NGC 2903 is about 80,000 light-years across.